According to the Anxiety and Depression Association of America, anxiety disorders are the most common mental illness in the United States with forty million adults reporting symptoms. 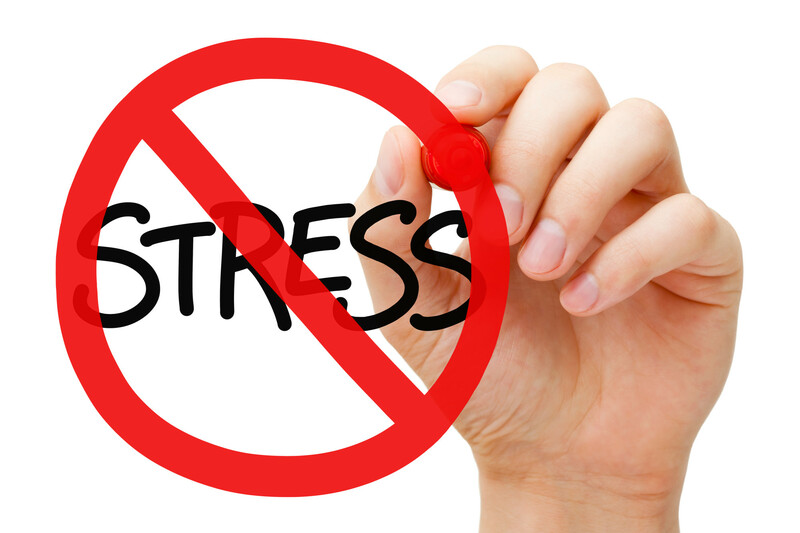 In order to combat the problem, doctors prescribe medications and treatments to reduce anxiety. But there are also steps you can take on your own to help yourself feel better without having to spend money or visit a doctor. Sometimes all it takes to change your mood is finding the right music. But if that doesn’t work, you may want to try changing another one of the messages you are sending to your senses. Try lighting a candle or finding another way to change the scent in your space. You’ll feel a lot more relaxed very quickly. Warm water is another great way to relax. If you can, find a way to enjoy warm water outdoors in a spring. But if you don’t have a hot spring in your area, you can always fill up your bathtub and enjoy a soak. To apply one of our previous tricks and enjoy your bath even more, try taking a trip to the store and buying some bath salts or bath soak balm that smells nice to enjoy. Reading a book is a great way to take you out of your daily reality and transport you somewhere completely different. If you can, try to lose yourself in one of your favorite books. Or visit the local library and look for something new. You never know what other activities you might find out about while you are there that you can participate in and that will create lower levels of anxiety for you. As mentioned earlier in this article, nearly twenty percent of all people have experienced anxiety. You have to realize that a lot of people around you are facing the exact same battle as you are. Try to humble yourself and relate to the people around you as much as possible. The more you realize we are all the same, the easier it will be for you to overcome the anxiety you face. There are lots of places to go for spiritual guidance. Some people like to visit a church while others like to seek a spiritual guru in a place like a yoga studio or temple. Whatever you choose, when you find a spiritual path that has meaning for you, you will find yourself having more strength and feel more ready to take on the challenges that your anxiety presents. There are all sorts of healing methods out there, so find the one that works for you. Sometimes it’s hard to reach out to a friend or family member when you are anxious. But it’s important to remember that those people are there for you and that they want to help you and support you. If you have no one to reach out to, then it’s time for you to make some new friends. Try to participate in your hobbies as much as possible so that you have an opportunity to meet some nice people. Going outdoors and getting exercise are both great ways to increase the number of endorphins in your body. Make sure you get at least thirty minutes of exercise every day if you want to feel good. You can take a stroll around the park, walk your dog, do some yoga at a studio, or row down a river. Whatever makes you feel good. Playing with puppies is something a lot of people enjoy, but many people never take the opportunity to do it. There are plenty of pet shelters in your area who would love your help playing with the dogs. Yes, there are other less glamorous jobs available for volunteers at most shelters, but you can sign up for whatever you want and they will be happy to have your help. Volunteer to play with the dogs sometimes. It will give you a chance to do something nice for them and forget about your troubles for a while. Being creative is a great way to express what is going on inside of you. Try to engage in some form of artistic expression at least once a week so that you can work through some of the things that are impacting you with a different part of your brain. Whether you do this by journaling, buying some colored pencils, or reaching for your paints from the back of the closet, it’s never a waste of time. Many people have begun to use cannabis as a way to treat anxiety. There are various terpenes and chemicals within it that allow your body to calm itself down. But there is still much more research to be done, so you can read more here. The items mentioned in this article can help you reduce anxiety in your daily life and become a more calm and relaxed person overall. But there are other steps you can take to improve your lifestyle while you are healing from your anxiety. Check out our other posts for more suggestions and interesting articles to occupy your mind.